A Night of Giving, A World of Difference. 23rd Annual South Everett-Mukilteo Auction! Saturday, March 23, 2019, 5:00 p.m.
Sign in for existing guests or create account for new guests. Donate auction items or cash donation. Sponsorship opportunities.Visit our sponsor page. 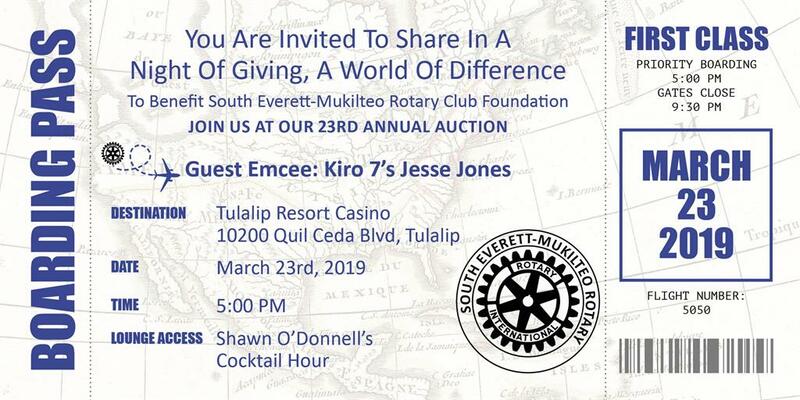 Tulalip Resort Casino 866-716-7162 and mention South Everett-Mukilteo Rotary Club.